Turn over a new leaf with Vega Protein & Greens. Enjoy effortless nutrition with 20 grams plant-based protein, veggies and greens, 0 grams sugars, and 110-120 calories. Sweeten your day with this Non-GMO Project verified, gluten-free, and vegan certified shake. 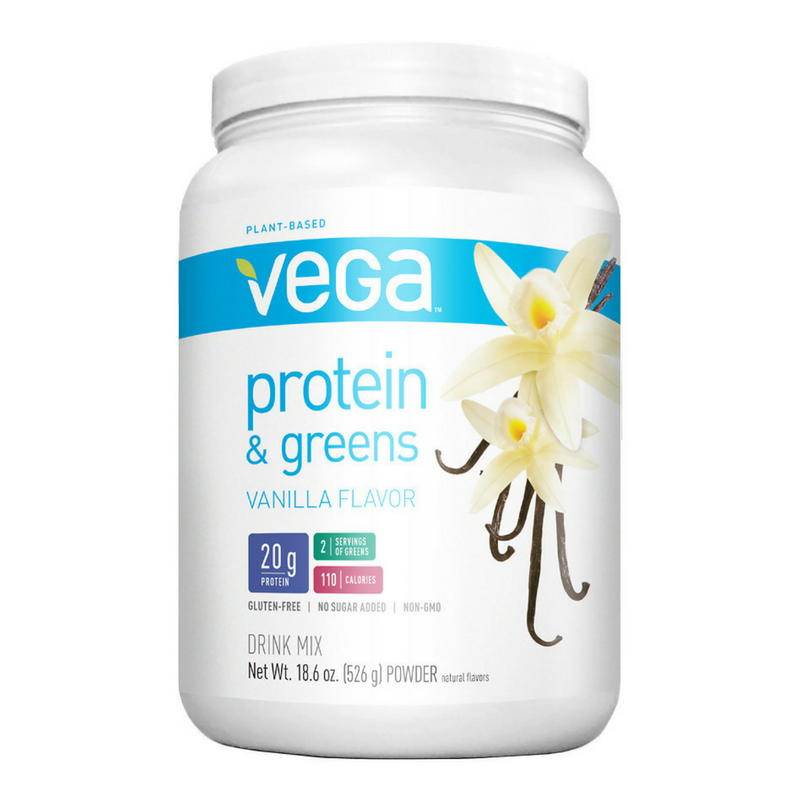 Enjoy Vega Protein & Greens in delicious Vanilla, Chocolate, Berry, Natural, Coconut Almond, and Tropical flavors.